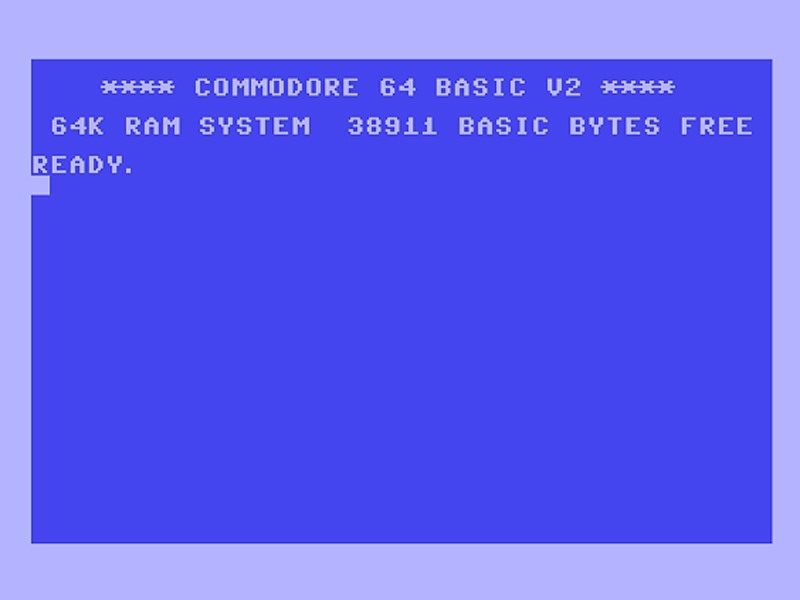 Back in 1982, the Commodore 64 home computer was released by Commodore International for $595 (which would now be close to $1,300). It featured an 8-bit microprocessor, 16-color video microchip, awesome sound chip, parallel and serial capabilities, and a whopping 64 kilobytes of memory, all of which helped make it the best selling home computer from 1983 to 1986. It surpassed anything IBM had out at the time. Its greatest competitors were the Apple II and Atari 8-bits, 400 and 800. And it had steady sells up until its demise in 1994, when Commodore International filed for bankruptcy, not because of technological advances, but because of a failing economy. And now it's hoping to make a comeback. 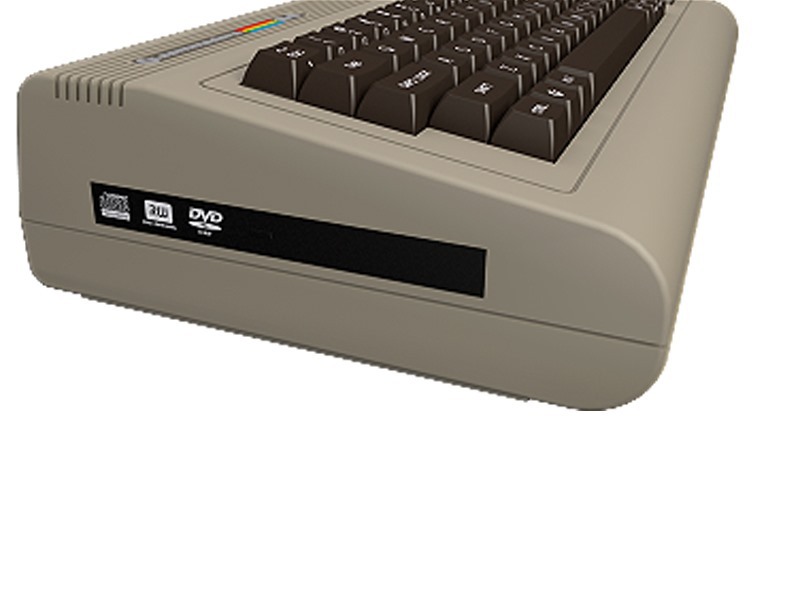 Last September, Commodore USA bought back the Commodore trademark with the goal of reviving the breakthrough all-in-one computer into an advanced desktop PC for today's techies. 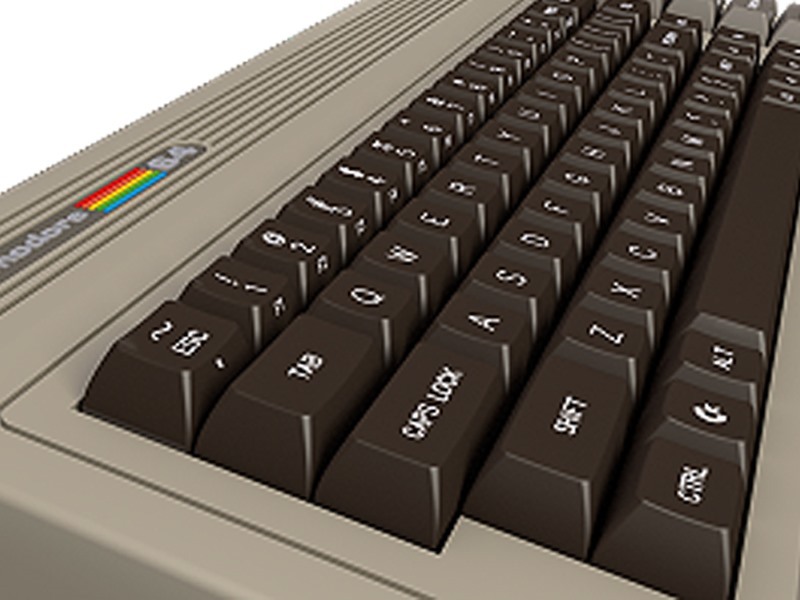 And it's finally here—relabeled as the Commodore 64x. 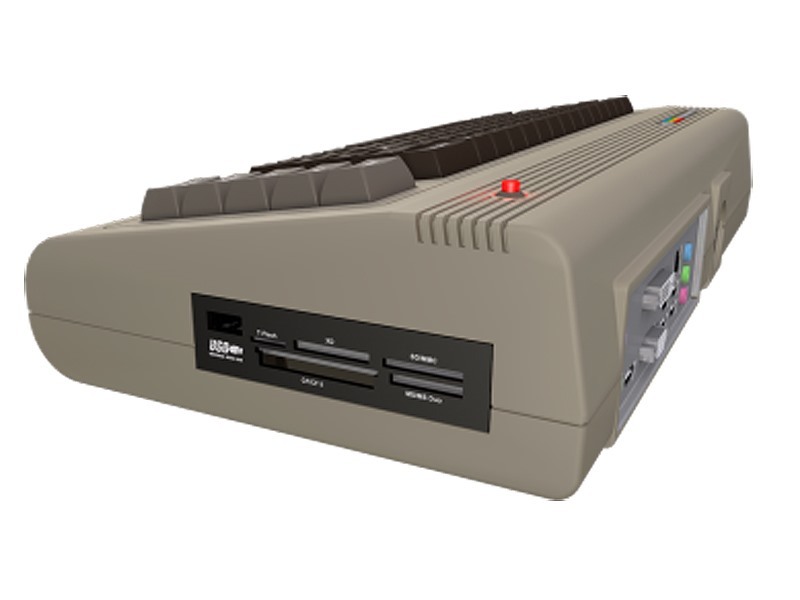 The new C64x modern-day computer is packed inside the vintage 64 casing, and is available for purchase from the Commodore website in five different arrays: Barebones, Basic, Standard, Deluxe and Ultimate, ranging from $250 for the bare necessities to $895 for the full package. They're said to start shipping between mid-May and early June. 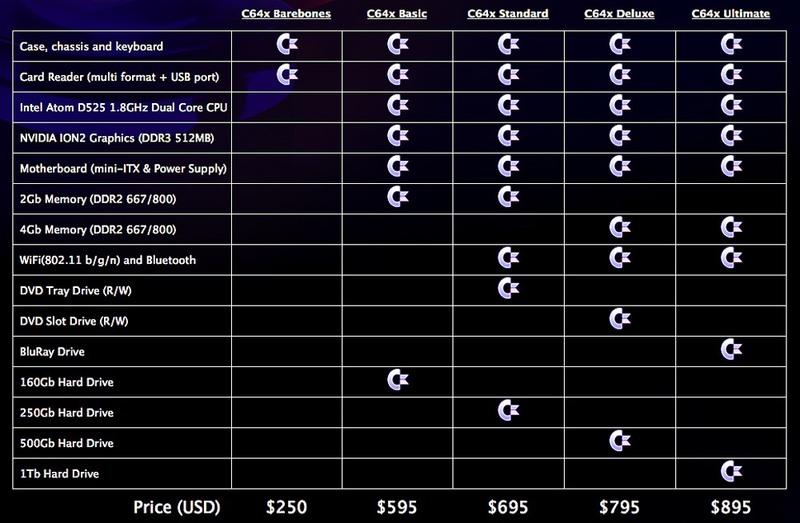 It ships out with a Linux operating system installed—Ubuntu 10.04 LTS. But that doesn't mean you can't install a Windows operating system on it instead. 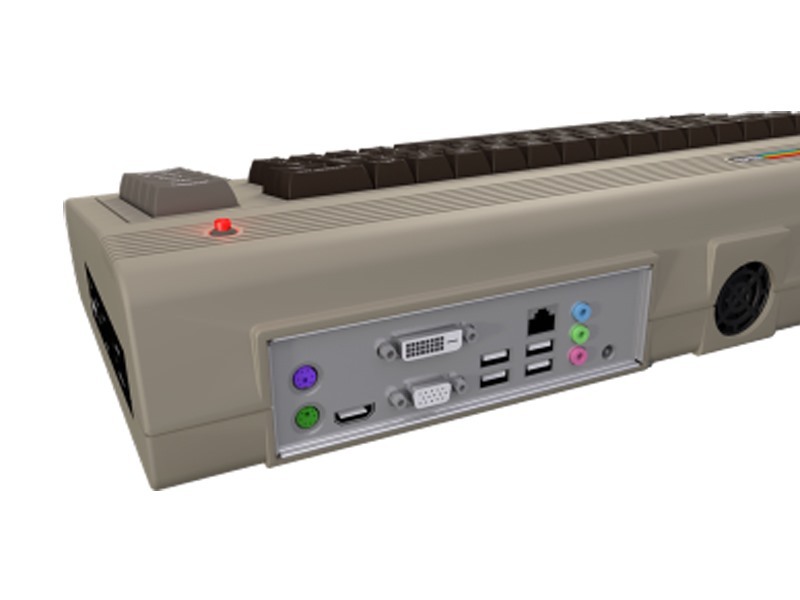 And you can also run the Commodore OS 1.0, along with emulation functionality and classic game package, which will be mailed to purchasers when they become available. And that means that you can play all of your favorite 8-bit era games, like Ms. Pacman, Commando, and Sentinel. Now you just need to find a decent monitor and you're set.